I don’t want to try and define love. I want it to happen right in front of me. As I’m sure all of you want the same thing. I’m in a first love kind of mood. Is it ok if I talk about it with you guys? I can? Great. I thought I’d give "AmoreUnscripted" readers an insight into the subject. Just the views from one to another. For some of us it can be hard to believe in it, especially just after separating from the experience. Recently on my home I was invited to an event a friend was attending. The occupancy was a little dry considering such a lively area. The main performer was a local artist that had just recently arrived from a short trip to New York. I could notice her energy throughout the room, I continuously turned my head towards her direction not consciously noticing why I wanted to. That was until I had an opportunity to meet her after the performance in which I finally understood why my instincts kept pointing me in her direction. The moment I met her I had spoken in a manner I had no idea I had access to at the time. I don’t know how life is perceived by your point of view but for me my mood is judged my current social environment and my character changed so drastically in such a little amount of time was surprising. I had found someone with the ability to bring the best out of me. I told her I’d follow her on Instagram and continued my way out of the venue. I haven’t sent her a direct message on Instagram and I don’t think I will. I’m just not the kind of guy to approach women on mainstream social media websites. Dating websites but not Instagram. Although there are always exceptions when it comes to love. You buy things would not normally buy, say things you wouldn’t normally say. Or you want to keep a clear head so you won’t ruin your chances with someone you’re interested in talking to. In 2016 it isn’t hard to find love, even I have a trouble at times navigating through the forever changing game. It’s just harder to find, in 2016 love lies under a layer of our own demons we create. Trouble trusting new people into our lives, fear of the unknown, sexual gratification, deciding who wants the right thing, the list goes on you and I both know that. In our time finding love feels like a click away. It’s over usage has drained the modern mind from ever believing in its existence. Our likes, dislikes, comments and Kermit memes have a new language in the love community not bound by any color of race. Yes, technology is changing the game and the human beings behind the profile aren’t as “I got to dry phone “or “I’m single” as you thought they were. Our profile is our virtual mask to everyone on the planet and we can become anyone. On my conquest to attracting new young women into my life I’ve staying online. Sadly, most of them hadn’t been as honest or calm as I thought they were. One female I’d met at their home only to be greeted with anger. It’s kind of funny once it’s all over, I realize after meeting these different girls and speaking with my friends about them that I have a long way to go. Finding love is out of the list question for things I expect. I’ve lowered my expectations to just someone that shows conscious. Yes, I know I do have to go out and meet them and I will, I’m sure everything will be fine. Finding love isn’t exclusively for the adults with cars, apartments and a 15-dollar hourly wage. You must become the person you want to fall in love with. Take up new hobbies, do good deeds, try new food, improve your mental health, improve your physical health (exactly what I need to start doing), and learning what it means to stay positive. The uncanny ability to decide how you act maturely in situations might and should fall under mental health but can be a full-time responsibility as anything can happen to test your character at any given moment. As both you and I move a step forward cautiously towards the lives of others let us celebrate our bravery for taking on such a task. Finding love in specifically the black community requires an awareness of the pain in our community. When we’re finding love in this community we’re also giving hope to ourselves and to the people the gravitate in our direction. 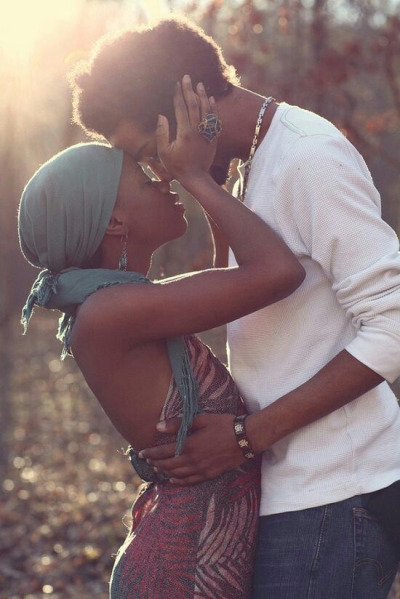 For the black woman is the black man’s strength. A worthy power we deserve.